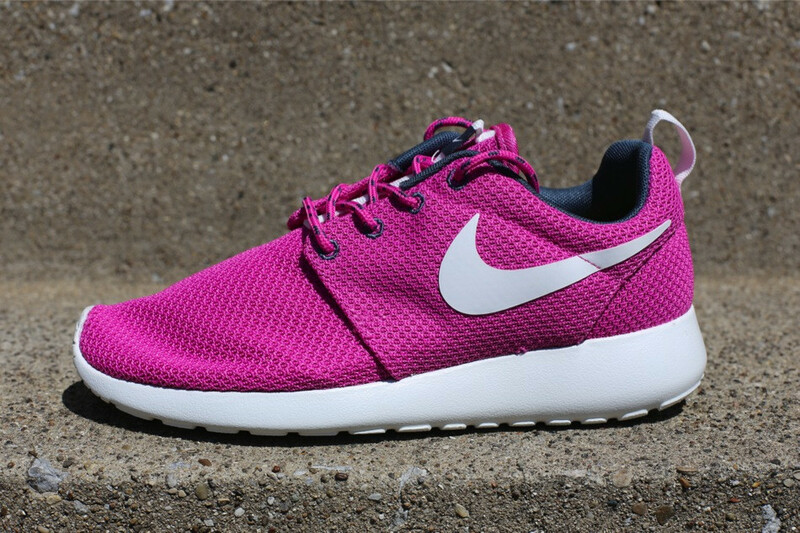 Today's Roshe news continues with the arrival of this all new "Club Pink" colorway for the ladies. One of several summer looks released by Nike Sportswear, we see the Roshe Run sporting a vibrant "Club Pink" full mesh upper. Armory blue hits the eyelets and collar lining, while summit white adds the perfect amount of contrast over the Swoosh logos and Phylon soles sitting below. The "Club Pink" WMNS Roshe Run is now available at select accounts such as Oneness.